Would An Investor Buy My House In Toronto For Close To Asking Price? 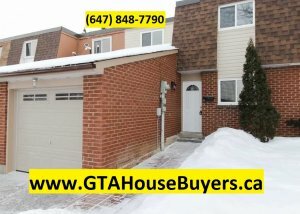 GTA House Buyers Need To Sell Your House Fast? We Buy Houses! Would An Investor Buy My House In Toronto For Asking Price? When it comes to selling your house, you have a couple of options. You can sell it on the market by stating your asking price and then working with an agent to try and find a buyer (or trying to find a buyer yourself). You can skip the “sell-on-the-market” process and just work with a buyer directly (like what we do here at GTA House Buyers) who can offer you a price for your house. An investor invests in real estate because they hope to buy at a lower price and either sell at a higher price or rent out the property. Therefore, investors are motivated to find houses that are priced affordably for them to buy. Your asking price is a starting point for the negotiation. Even if you sell to someone on the market (through the help of a real estate agent), your asking price will be the starting point and the buyer will usually try to negotiate a lower price. But here’s what most people don’t realize: the asking price has other factors built in… for example, it assumes that you have fixed up and cleaned up your property so it’s in pristine shape and ready for buyers. And, don’t forget that you have to pay bills, insurance, and taxes on your property the whole time an agent tries to find a buyer (which can take months). And then you’ll have to pay the agent a commission, which might be thousands of dollars. After you’ve sold your place, you’ll have to dispose of all of the garbage and things you’ve collected over the years but no longer need (some people pay for disposal bins or hire for junk removal). So your asking price has all of these things “built into it”. “Will an Investor buy my house for asking price?”. When you work with an investor, you actually skip all of this. You don’t have to fix up or clean up your house so you can save thousands of dollars there. And, you don’t have to pay bills, taxes, and insurance for months while you wait for a buyer to be found, so you save thousands of dollars more there. And, you don’t have to pay a commission because no agent was used, so you save even more thousands of dollars there. Add it all up: you save thousands of dollars by selling TO an investor instead of selling THROUGH an agent. Selling to an investor allows you to sell faster and avoid all those expenses. That’s why an investor might not be able to buy a house near your asking price. However, the discount you might provide them is money you wouldn’t see anyway while you wait months and “gamble” to sell your house on the open market. If you’re still wondering “will an investor buy my house”, you can download a FREE copy of Pros and Cons of Selling to a Professional Home Buyer here and find out how selling your house to a real estate investor stacks up against your other options. Do you want to sell your house fast in Toronto? If you’re looking to sell fast, get a fair all-cash offer from us. Just click here now to fill out the form or call our office at (647) 848-7790. I was looking for a cash home buyer and GTA House Buyers bought the house quick and on my schedule. I recommend them. GTA House Buyers bought my house as-is and they made selling very easy. They even gave me a loan so I was able to buy a new house to move into. We are a real estate solutions and investment firm that specializes in helping homeowners get rid of stressful houses fast. We are investors and problem solvers who can buy your house fast with a fair all cash offer.